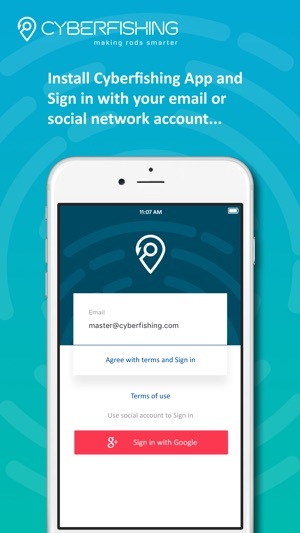 By combining the lightweight Smart Rod Sensor and the Cyberfishing smartphone app, you can now record all the data from your fishing trips and find big fish more often. 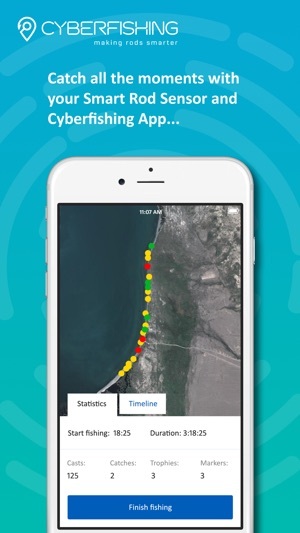 And once you are part of the Cyberfishing online community with uploads and images, you can share information of fishing hotspots with other anglers to make bigger catches even more likely. The ingenious Cyberfishing Smart Rod Sensor simply snaps onto your rod then records everything that happens as you fish – and it is so lightweight you won’t even notice it as you enjoy your day on the water. The Smart Rod Sensor automatically captures data on the number of casts you make and the surrounding conditions. 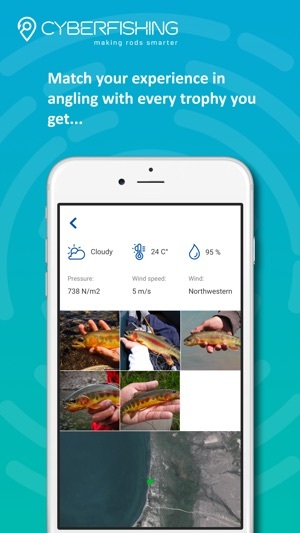 And when you catch a fish all it takes is a simple touch of a button and the Smart Rod Sensor saves the location instantly. That’s saved and stored no matter how long you fight the fish or however far the wind or the current takes you away from your original spot. And when the day is done? That’s when the Cyberfishing app comes into play. 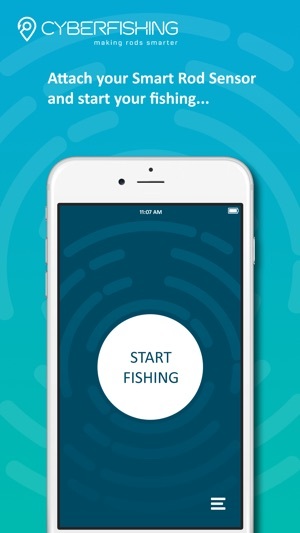 The Smart Rod Sensor connects to smartphones via Bluetooth and the Cyberfishing mobile app saves the captured data for easy access and retrieval. Charge up your Smart Rod Sensor, attach it to your rod, then get casting and catching – safe in the knowledge that it’s doing the hard recording for you and you will soon have invaluable records to review and share.